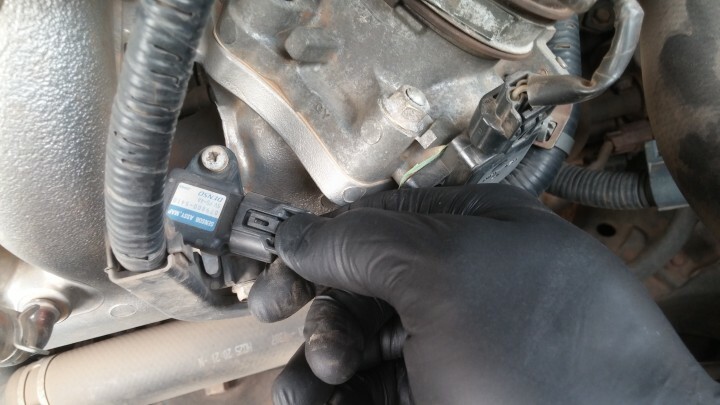 If you’re battling a P0105, P0106, P0107, P0108 or P0109 code, it may well be the manifold absolute pressure (MAP) sensor that has gone south and would need a replacement. Of course you would want to rule out poor wiring connections first and other differential diagnosis for the codes. 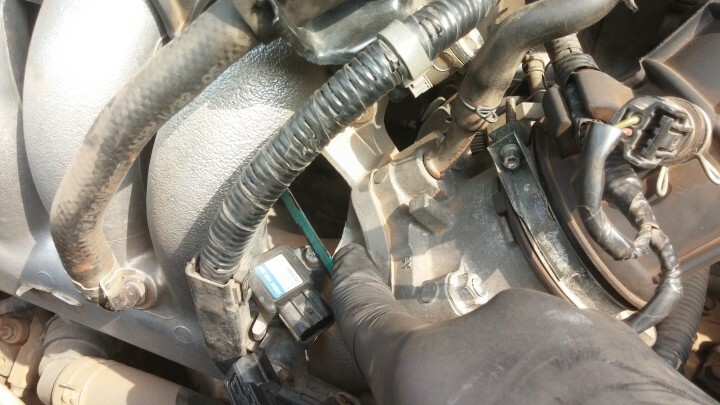 The MAP sensor measures the level of vacuum in the intake manifold. This measured vacuum is used by the car’s computer to calculate engine load and also control the volume of air for the tight air-fuel mix which is kept at 14.7 to 1 respectively for optimum MPGs. 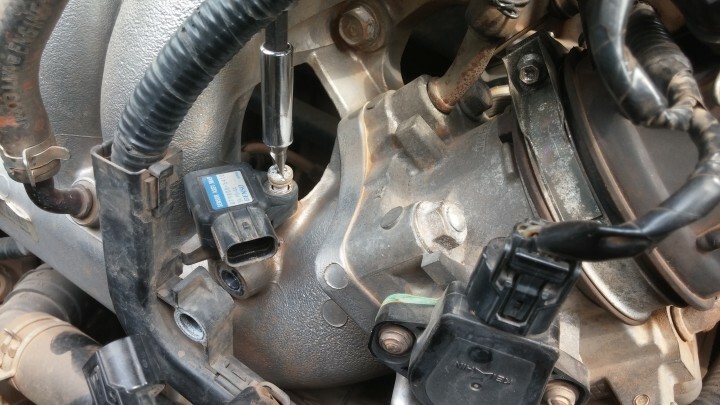 Not all vehicles feature a MAP sensor, some makes use of a mass air flow (MAF) sensor instead, while others feature both sensors; with the MAP being sort of a backup in case the MAF failed. 1. 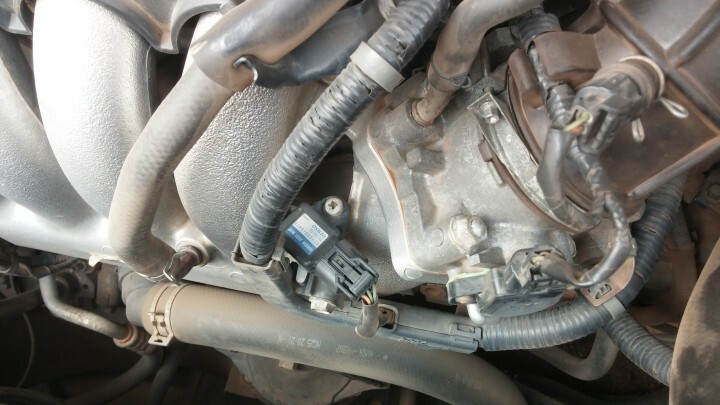 Find the location of the MAP sensor: The sensor is usually located on the intake manifold. 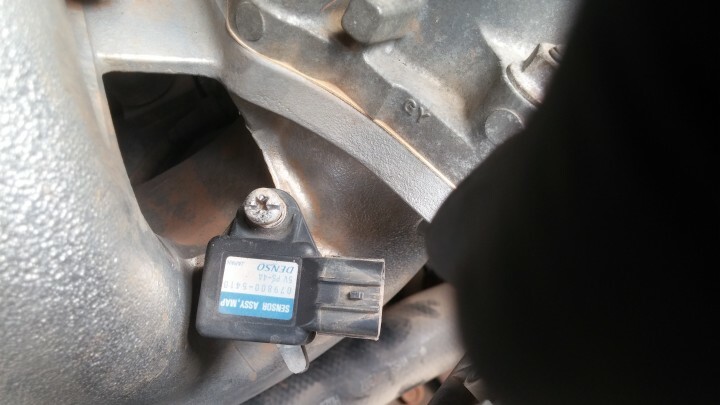 On the 2003 Accord LX, the sensor has a white & blue sticker and is found just after the throttle body. It does have MAP sensor written on it. 2. 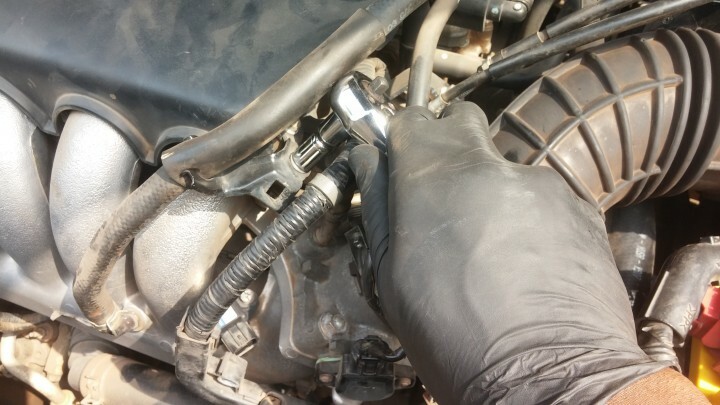 Detach the connector for the MAP sensor: Depress the tab to remove the connector. 3. Remove obstructing mounting brackets: Unscrew the 10mm bolt mounting the battery positive cable to the intake manifold. 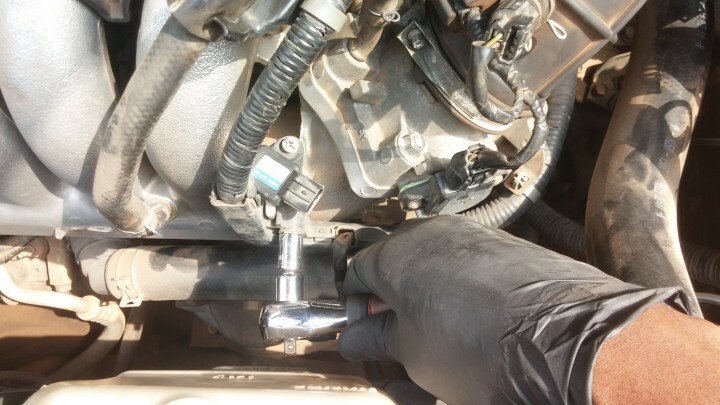 Also remove the 10mm bolt mounting the vacuum line to the intake manifold. You may actually be able to pull off this DIY without taking my step 2, but I’ve learnt in my DIY journey to rather create ample work space than work in tight spaces. You’re less likely to make mistakes this way. 4. Unscrew the single MAP sensor screw: A Philips screwdriver would be required for this, however like I found out, the screw was banged on pretty hard and simply stripped as I tried with the Philips screwdriver. If this happens to you, there’s a simple trick to repair the screw head; use a saw to cut a groove for a flat-tip screwdriver on the stripped screw head. Once the screw is out, wiggle the sensor to get it out. You can now go ahead to install the new one, following reverse steps. For me, I embarked on this to see if the sensor was dirty and thus contributing to the rich condition I was having. In the end the sensor was squeaky clean on inspection. I did give it a bath with electronic cleaner just to satisfy my conscience. 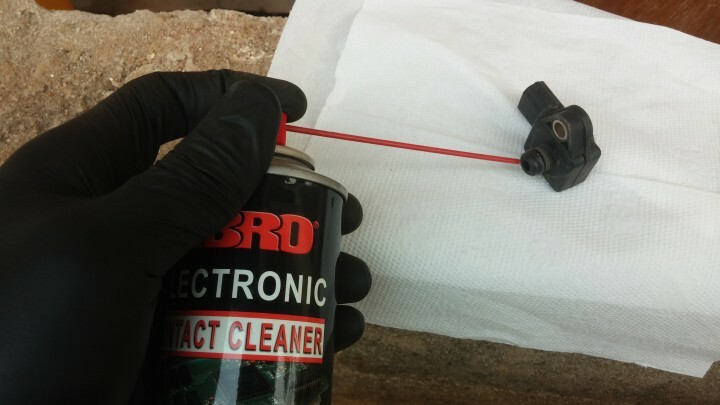 NB: If you do try to clean your MAP sensor, do not use carb cleaner, its too harsh and may ruin the sensor and the plastic housing. Hope you found this useful! What are the results? Was it helpful in resolving the rich condition. Thanks Aninta. It didn’t make a change to the rich condition. I really didn’t expect a change since my MAP readings weren’t out of spec. Just satisfied my conscience by ticking this box and knowing it’s not MAP related. Need to check my fuel pressure readings!